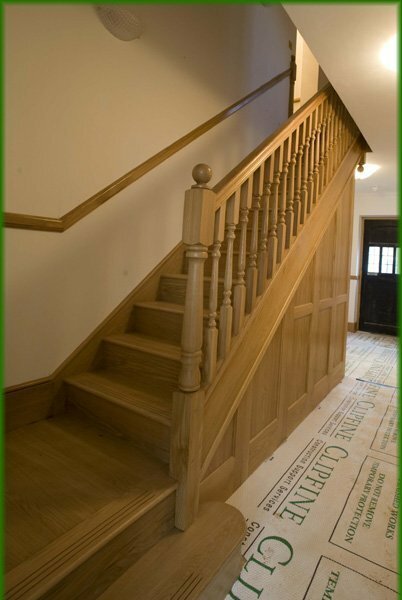 These beautiful European oak, half landing stairs have been customised by our client. 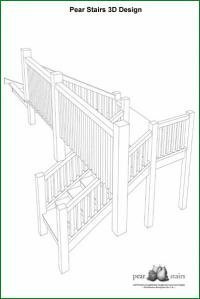 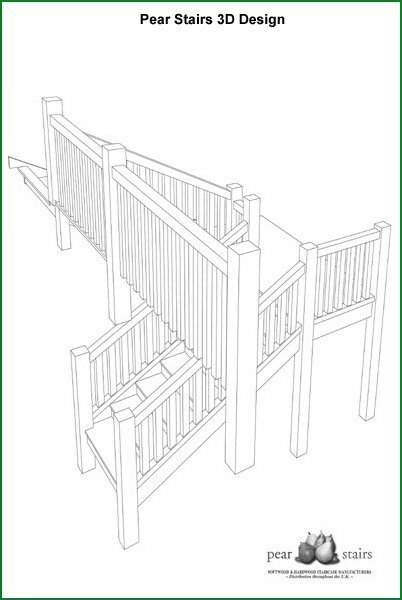 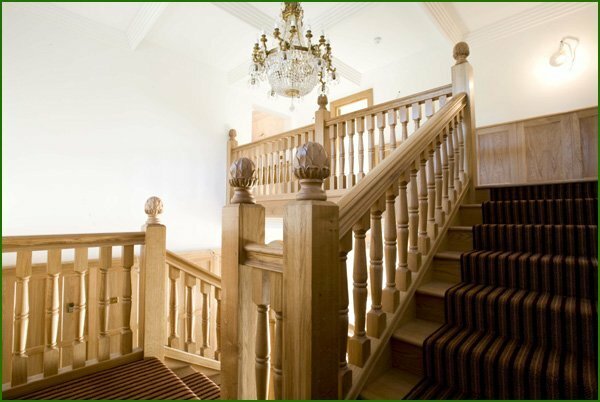 We manufactured 150mm square newels and 70mm turned spindles with a large section handrail. 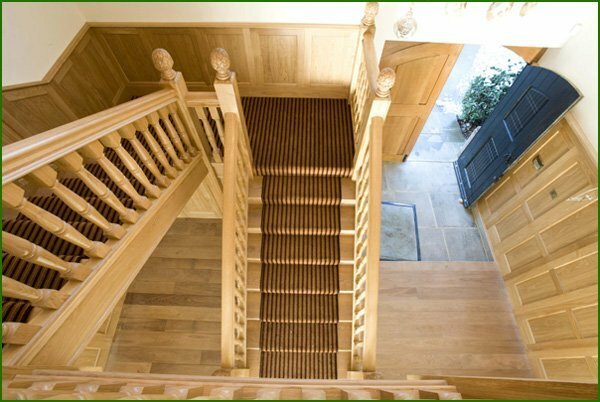 The newels are topped with an artichoke-style cap. 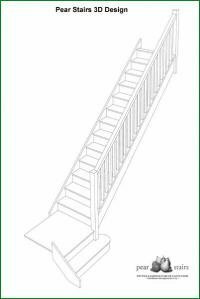 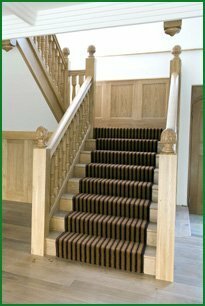 friendly, professional and efficient, with no fuss and an excellent staircase delivered on time.